Chica Brava in Forbes Magazine! 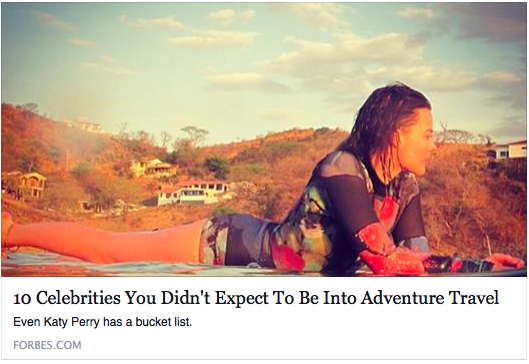 Coming in HOT in the #1 spot on Forbes list of “10 Celebrities You Didn’t Expect To Be Into Adventure Travel”… it’s Chica Brava!!! Yep! Even actress Margot Robbie wanted to learn to surf and chose Chica Brava as THE best place for it!